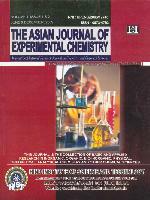 The Asian Journal of Experimental Chemistry is an official publication of the Hind Agri-Horticultural Society. It features the original research in all branches of Inorganic, Bio-inorganic, Organic, Analytical, Physical, Theoretical, Industrial Chemistry, Bio-Chemistry and Chemical Sciences and other cognate branches of sufficient relevance. The journal publishes three types of articles. i.e. Review/Strategy/Case Study (exclusively by invitation from the personalities of eminence), Research paper and Research Note. The National Academy of Agricultural Sciences (NAAS), had rated this journal with a mark of 2.3 on a scale of 1 to 10.